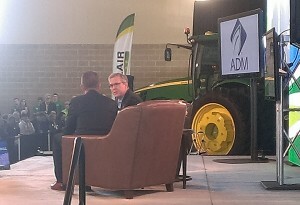 The Iowa Ag Summit at the Elwell Family Food Center on the Iowa State Fairgrounds in Des Moines has already provided plenty of fireworks, and it got started in the first few moments of the event when Iowa ag leader Bruce Rastetter kicked off his event with an apparent swipe at Texas U.S. 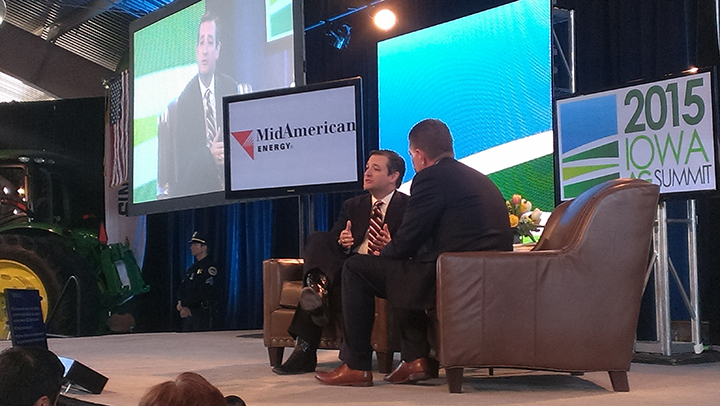 Senator and outspoken Renewable Fuel Standard critic, Ted Cruz. The comment seemed a clear allusion to the 21-hour speech that Cruz gave on the floor of the Senate in 2013. Cruz has recently drawn fire from ag-first Republicans for his opposition to the RFS. Then, he issued a warning of his own. “Don’t mess with the RFS!” boomed the six-term Republican Iowa governor. Hecklers have been a major story line today. Branstad was heckled by an opponent of the recent gas tax increase he signed into law. A few minutes later, New Jersey Gov. Chris Christie was heckled by a protester who was upset about his response to Hurricane Sandy. In both cases, the protesters were quickly escorted from the building by Des Moines Police officers. During his sit-down with Rastetter, Christie also attacked Obama on his refusal to move forward with the RFS, and said he would push it, because “it’s what the law requires.” The discussion also focused on immigration (he wants a solution that is both fair and legal), genetically modified organisms used in food production (he’s opposed to labeling), the urban-rural divide (everyone should have a quality education wherever they live), infrastructure, and taxation (it needs to be fairer and flatter). Iowa Lt. Gov. Kim Reynolds followed his sit-down with Rastetter, and was the first speaker to not get heckled. She was followed by former Arkansas Gov. Mike Huckabee. The former FOX News host fielded a question from Rastetter about wind energy, using it to toss in a dig at Congress. Huckabee framed his answers as a “nationalist” — someone who “puts the interests of America first” — while suggesting many others who are in government fall into the other categories: globalists who want America to be no better than the rest of the nations in the world, and corporatists who are only interested in companies, particularly global corporations, are profiting from U.S. policies. He said education, specifically more access to community college, would help address the urban-rural divide. He was followed by U.S. Sen. Chuck Grassley, who spoke about biofuels issues in Congress. U.S. Rep. Rod Blum (R-IA 1) then spoke briefly about his desire to see the presidential candidates listen to the American people. Former Florida Gov. Jeb Bush followed with a sit-down with Rastetter, opening with memories of days in the past spent on the Iowa campaign trail for his father, President George H.W. Bush. He also discussed trade (referencing Iowa’s relationship with China under Branstad), immigrations (he wants to make legal immigration easier than illegal immigration), his support for the RFS and wind energy, GMOs (he said burdens shouldn’t be placed on innovation), government subsidies, and the urban-rural divide. Iowa State University President Steven Leath followed with a speech about the changes in agriculture and how ISU is positioning its students to be prepared for the future. He was followed by former Iowa Lt. Gov. and Secretary of Agriculture and Land Stewardship Patty Judge, who discussed her support for the RFS and renewable fuels produced in Iowa. U.S. Sen. Ted Cruz (R-TX) was scheduled to appear after Judge, but instead former Texas Gov. Rick Perry took the stage to talk one-on-one with Rastetter. Cruz followed Ernst, and was immediately pressed about his position on RFS and the wind energy production tax credit. 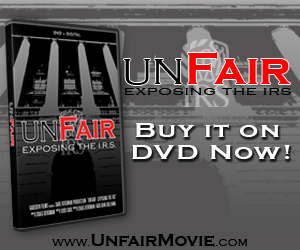 He told Rastetter and the audience he didn’t feel the federal government should be “picking winners and losers,” and it should instead let the free market determine them. “I think we need to be fiscally responsible, and I have every faith that businesses can continue to do well without having to go to Washington on bended knee asking for subsidies,” he said. Cruz also took questions from Rastetter on immigration (he is optimistic long-term, but pessimistic in the short-term), normalized trade relations with Cuba (he noted an arms shipment to or from North Korea was apprehended in the Panama Canal), Waters of the U.S. regulations, ObamaCare, and GMOs (“The radical left loves attacking people as being anti-science…but when it comes to biotech, these same voices become the most anti-science zealots we’ve ever seen.”). Following a brief speech by U.S. Rep. Steve King (R-IA 4), New York Gov. George Pataki took a turn with Rastetter. He discussed growing up on a farm, then said he would like to see the RFS phased out. Taking a stance similar to that of Cruz, Pataki said he also wants to end wind-production tax credits. He then discussed broadband and healthcare access in rural America, taking credit for Health Savings Accounts. He said those issues have to be market driven, that there needs to be “market solutions” to those problems. He also stuck up for the RFS, saying it was a way to put more Americans back to work. Wisconsin Gov. Scott Walker was the final speaker of the day. He started with immigration, saying he didn’t support amnesty, but that Americans needs a “legal immigration system that works.” He said the RFS was an “access issue” that he would be willing to continue, but his long-term goal would be to see a more direct solution to market access issues, which would preclude the need for the standard. He frequently invoked Branstad’s name throughout his appearance. He said he supports the use of wind energy, but believes the wind-energy production tax credit should be phased out over time. On Cuba, he said would not “pull back” on the embargo as President Obama has. On the issue of food stamps — the Supplemental Nutrition Assistance Program — he said he supports placing limitations of the program, and to require drug testing and work-for-assistance provisions, which drew a lot of applause. Walker also said he opposes labeling requirements for GMOs, but said the government “should require that the food we sell is safe.” And, during a discussion about the urban-rural divide, he talked about his father being a minister, and how his first job was washing dishes at a diner. He also discussed enhancing access to broadband and transportation infrastructure, as well as expanding healthcare. He connected well with the audience during his 20 minutes on stage. They rewarded him with a standing ovation upon his exit.